Our TapSongz Team continues to search for the next top up and coming artists and finding new music and fresh sounds. 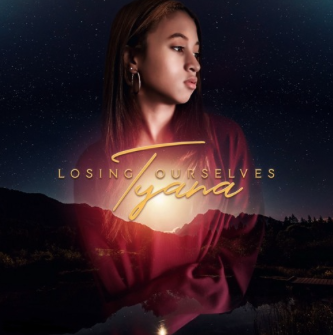 We recently came across TYANA a very talented artist who recently dropped her third single and conducted an interview to learn more. TYANA was born in Dubai and grew up in a music setting. Her father, David Madeleine is a well-known DJ from Seychelles and has DJ's some of the city's big events as well as many gigs in Dubai and around the world. "I could always hear music being played in the house. My favorite artists growing up were Rihanna, Sam Smith and Chris Brown," TYANA recalled. Fast forward to today and TYANA has made great progress as an artist. Her latest project "Hold Hands" features Gunz. "A lot has been happening in the world and I felt it was the right time to send a message to all teens my age that the world needs our help to make a difference," she said. She began to put her ideas on paper and worked with the writer Thir13eenbeatz from the U.K.
TYANA has plenty of current influences and loves going to live shows. "My favorite artists live are Russ, Marshmellow, Craig David, Bebe Rexha, and Stormzy. They all just have that energetic vibe and always are so fun to watch perform," TYANA said. The rising artist has been considering doing her own shows and going on tours, but for now, is focused on building her fan base. As for what's next, TYANA's main goal is to finish her album and start her own clothing line. After giving TYANA's music a listen we see the true potential and can't wait to hear more of her releases. Being so young, TYANA has plenty of upside to breakout as a top new artist. Be sure to stay up to date with her new projects and support her as she follows her dreams of becoming an accomplished artist. Here at TapSongz we thank you for reading this feature article as we continue finding tomorrow's greatest music today!